Under the Equality Act 2010, providers of housing (whether they are public or private bodies) must not discriminate on grounds of sexual orientation or gender reassignment, or victimise someone on the grounds of sexual orientation or gender reassignment when providing services. This means they must provide an equally favourable service to LGBT people as they do to non-LGBT people (and vice versa). 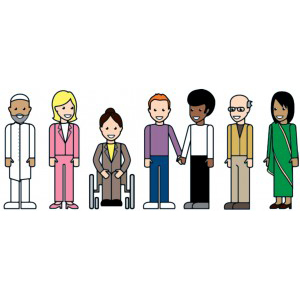 In addition to the prohibition against discrimination and victimisation, public bodies and organisations which carry out a public function (which would include housing associations), are required to comply with the Public Sector Equality Duty. This means social housing providers and other relevant organisations have to consider all individuals when carrying out their day-to-day work in shaping policy, in delivering services and in relation to their employees. 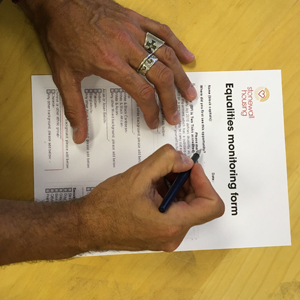 The Public Sector Equality Duty also requires social housing providers to give “due regard” to the need to eliminate discrimination, advance equality of opportunity and foster good relations where they exercise a public function. While the Equality Act 2010 therefore places a clear obligation on both public and private housing providers to address the needs of their LGBT customers and treat them equally, questions have been raised about whether the requirement to provide “an equally favourable service” and to “advance equality of opportunity” would mean that an LGBT-exclusive housing scheme would fall foul of the Equality Act, because it appears to treat one group of people more favourably than another. Luckily, the Equality Act 2010 allows for certain exceptions to the requirement to not discriminate. Broadly speaking, discrimination that benefits one group over another (e.g. 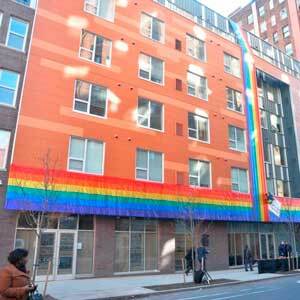 by providing LGBT-exclusive housing) is permitted, provided that there is an “objective justification” for treating LGBT individuals more favourably than non-LGBT individuals. This means that the otherwise discriminatory action must be capable of being shown to be a proportionate means of achieving a legitimate aim. 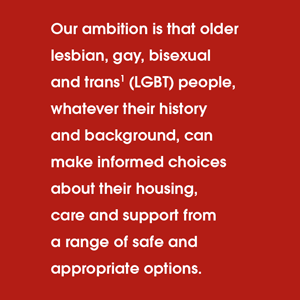 In the case of an LGBT-exclusive housing scheme, there is a strong argument that given the lack of provision for LGBT people in mainstream housing for older people, providing an LGBT-exclusive housing scheme is appropriate and necessary for the health, safety and welfare of older LGBT individuals. Our thanks to Gabby Heron (Freshfields Bruckhaus Deringer LLP) for her advice and guidance with this information.